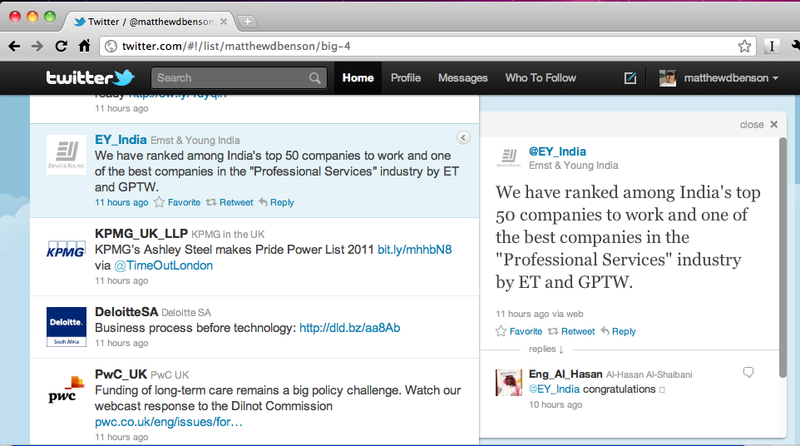 I was recently interested in searching for references to the name ‘Ernst & Young‘ (the accounting firm) on Twitter (ie, within tweets). Obvious? 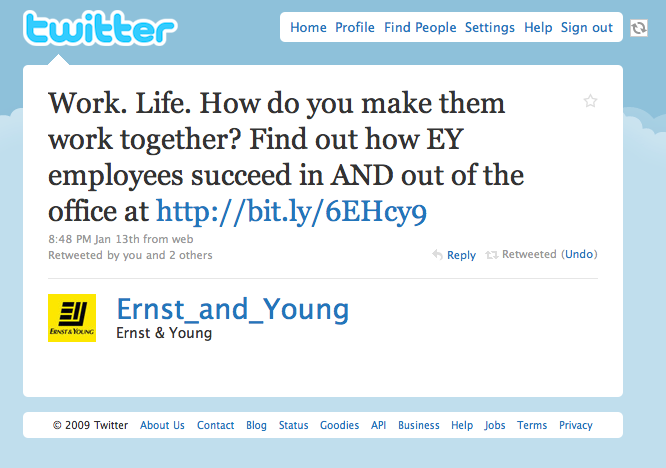 Just type ‘Ernst & Young’ into the box on Twitter Search? Yes, of course. … But that’s not the end of the story. Getting the right search results on Twitter can be a little more tricky than that, but as I show below, not entirely impossible. I have set out a few hints and tips as to how to ensure you can increase your chances of finding references to any company name in Twitter.